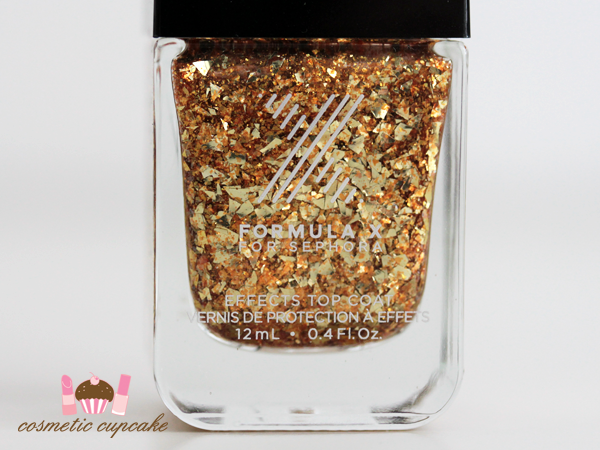 Sephora came out with the FORMULA X collection last year and my friend A very kindly lent me her bottle of Out of Sight from the Transformers Top Coats collection to swatch. As usual it's only available exclusively through Sephora boo. I've read good things about the range so of course I immediately took up her offer to try it! "An innovative top coat for layering over any nail color, transforming your manicure into something striking and completely new.. This savvy alternative to your traditional topcoat transforms any nail color with innovative textures and stunning effects. Dabble with color and texture options, or play with dimension by layering over your favorite shades." The bottles are rounded and chunky with an outer cap that comes off to reveal a ribbed cap. 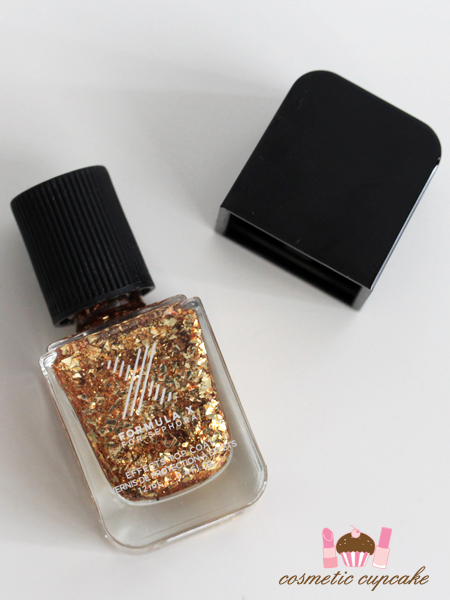 Out of Sight is a chunky warm gold fleck glitter. I was surprised at how well it applied since the glitter is so chunky! I had no issues getting the glitters out of the bottle and they lay flat on the nail without any coaxing. Here I've layered 2 coats over Hello Darling Oops. Details: Out of Sight is available exclusively from Sephora stores and online for $12.50US. I definitely want to try out other shades! Thanks A for letting me try it! 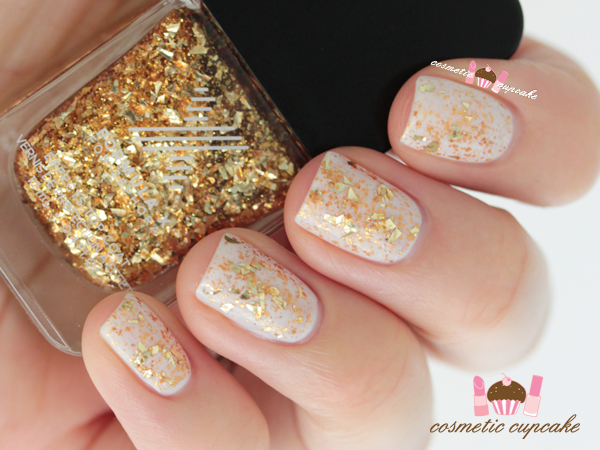 What do you think of these chunky glitters? Thanks for looking as always! i bought this shade awhile ago and absolutely fell in live with it. it doesn't hurt that gold is my favorite color either.